Time is the greatest money-making asset any individual can possess. With good time management skills you can reclaim your life by managing stress, increasing energy levels and prioritizing goals more efficiently and effectively. You make progress at work. You are able to maintain a balance between your career, family and personal life and have enough flexibility to respond to surprises or new opportunities. All time management skills are learnable. As you learn time management skills, you will see improvements by becoming aware of the common root causes of personal time management problems. Working more efficiently: better organising tasks and projects. The strength of NOW Management: Tips to be present in the moment. The course "Time Management" is aimed at everyone who wants to achieve greater productivity, the ability to reach goals, gain control over life and reduce stress. More specifically this training is beneficial for management assistants, managers, sales managers, department heads, business professionals and account managers. The training will be adapted to your specific needs using the online Time Management tool. The starting point of this training is the work situation of the participant. The learned knowledge, insights and techniques are therefore directly applicable in practice. The course offers a mix of knowledge-oriented learning experience, practical exercises and group interaction. By the end of the program, participants will have an understanding of time-management techniques such as: using a to-do list, prioritizing the items on it, stopping procrastination, and working better with others through delegation. 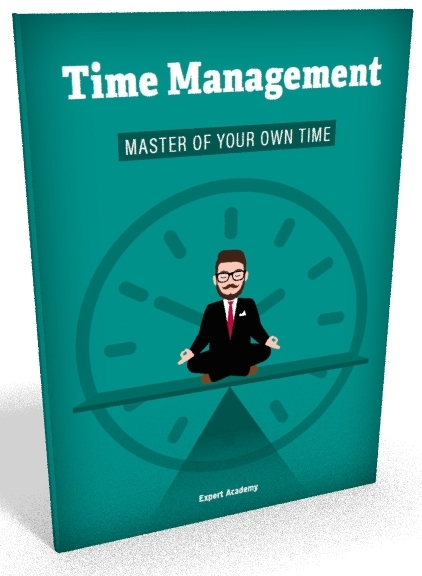 Included in this training: the course book "Time Management - Master of your own time".